On the DVD : Commentary by the directors who include Wim Wenders, Kevin Godley, Stephane Sednaoui, Anton Corbijn and Jonas Akerland. 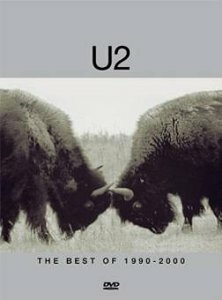 Seven bonus tracks - "Please", "If God Will Send His Angels", Wild Horses, Lemon, Last Night on Earth, MoFo and Ground Beneath Her Feet. Alternative versions of the clips made for different countries, as early cuts or to accompany different mixes. Exclusive content includes mini documentaries "U2 Sur Mer", "A Story of One" and "Missing Sarajevo".